The goal for the molecular diagnostics workup of pediatric cancer patients is to help uncover as much useful genetic information as possible that can be applied to help guide the care of the patient and his or her family. At a preliminary level, this means making sure the most accurate and refined diagnosis is made, as this is the foundation upon which all subsequent treatment decisions are made. However, assistance in diagnosis is just the tip of the iceberg, and molecular diagnostics are rapidly becoming an essential part of the ongoing management of cancer patients, helping to predict disease progression, providing information regarding actionable targets to support therapeutic choices, and creating new possibilities for monitoring disease status and detecting recurrence at the earliest possible time. With the advent of next-generation sequencing (NGS) and other newer genomics technologies, the complexity of genetic tests and the number of potential testing options continues to increase, placing a premium on proper informed decision-making and integration of results. There are many factors to consider when planning for molecular testing, including the differential diagnosis, the pretest likelihood of the presence of molecular alterations, the performance characteristics and comprehensiveness of potential test options, and the suitability of available specimens. 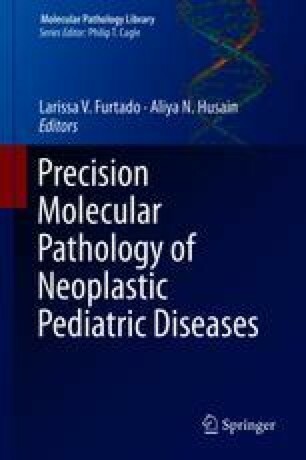 This chapter aims to cover the different facets of formulating and employing a genetic testing strategy for pediatric oncology, including a review of testing indications, descriptions of common specimen types and their relative strengths and weaknesses, factors influencing test selection, and general recommendations for interpretation and integration of results into clinical care. Lastly, ethical considerations for genetic testing in the pediatric oncology population are addressed with the aim of minimizing informational harm and other potentially negative repercussions. Harris MH, Dubois SG, Glade Bender JL, Kim A, Crompton BD, Parker E, et al. Multicenter feasibility study of tumor molecular profiling to inform therapeutic decisions in advanced pediatric solid tumors: the individualized cancer therapy (iCat) study. JAMA Oncol. 2016. https://doi.org/10.1001/jamaoncol.2015.5689.